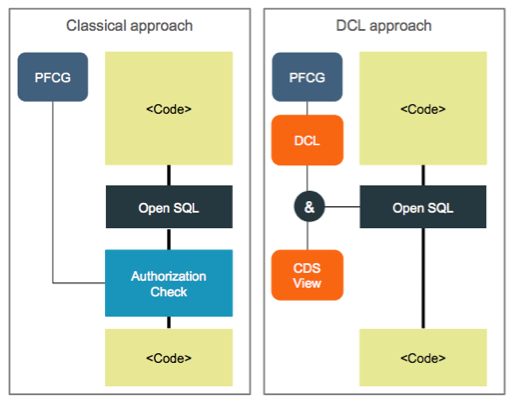 Helping a client in the process of leveraging existing solutions, we are reviews the security approach to ABAP CDS views. 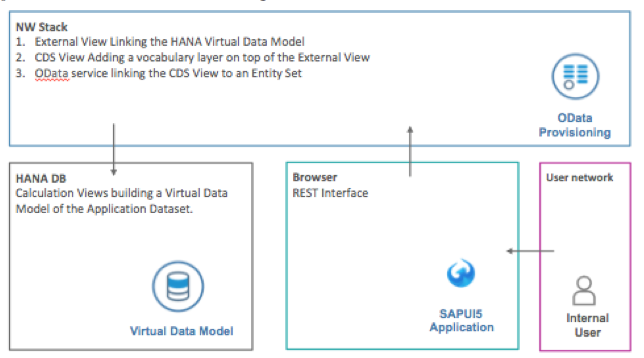 In this particular project we are using CDS Views as the Data Foundation for custom SAPUI5 Applications, and as the original security roles were based only on PFCG a new approach was necessary to make sure the security around the data access is maintainable, auditable and consistent with the existing standard authorizations. All the data exchange between the UI5 App and the Backend NW Stack is done via OData service. This OData service, by its time, executes all the Reading commands via a Data Mapping from each entity to a CDS View. This can be found in the SEGW implementation of each entity. With this, any given user should have this objects assigned in order to have access via the Odata service. This role can be overruled in the same fashion of ABAP Authority-check’s, so a user with SAP_ALL, for example, will have access to all records in this view. As we are pointing to standard objects already in use by PFCG roles, there shouldn’t be any impact on the BAU maintenance or auditability. But looking forward, this model is completely aligned with the S4HANA Best Practices. As this particular client runs on SAP HANA, performance will be increased, as the security roles will be processed in a lower and faster layer. As explain above, the NetWeaver stack replaces the ABAP OpenSQL statement adding a where clause to filter the allowed records, with decreases the I/O flow and the process flow in the NW stack when in comparison with the tradition method when all the records are retrieved from the Database and then processed one-by-one in the NW Stack. On non-HANA Databases, I have yet to measure how it performs, would appreciate if anyone with that experience could share the results in the comments.